It is fairly common for people to take out auto loans in situations that end up being less than perfect, but options are available that can protect your vehicle from being repossessed and to protect yourself from financial hardship or falling victim to a bad credit history. Most car owners take out loans in order to pay for their vehicles. They then continue to make the payments faithfully until they sell the car, trade it for a new car or pay off the loan. However, just as it is possible to refinance a house by taking out a new mortgage, it is also possible to refinance a car, truck or other personal vehicle that has been purchased through an installment loan. According to DMV.org, an authoritative online portal about vehicle laws and licensing, the concept behind refinancing an auto loan is simple. You talk to a lender and take out a new loan for the vehicle you already own. The new loan is used to pay off the original loan, thus freeing you from the original terms and obligations. Some people refinance their auto loans with the same lender they worked with in the first place, but this is not a requirement. In fact, many lenders and finance experts believe that you will get a better deal from a new lender. On the other hand, if you already have a good relationship with your lending agent, he or she may be able to pass along some solid advice and recommendations. After all, your current lender will make the most profit when you repay the loan through the full term rather than all at once. Where can you Refinance your Auto Loan? Although you can find several great reasons for refinancing an auto loan from numerous online resources, AdvisorHQ, a prominent firm that researches and reviews banks, lenders and financial products for consumers, has put together one of the most comprehensive lists. If you had bad credit or your report had a few dings when you financed your car, you probably didn’t get the best interest rate or terms. When you refinance, this gives you a chance to show off your new credit rating to a lender who will most likely respond by giving you a better deal than you could have gotten previously. While your credit rating has a lot to do with the final interest rate you are offered on a car loan, the base interest rates are a product of the prevailing economic conditions. As the markets rise and fall, so do interest rates. Take a look at the rate on your current loan, which should be on your monthly statement, and compare it to the rates being offered by some of the major banks in the country, such as Wells Fargo and Bank of America. These big lenders set the interests rates used by smaller lenders. In general, the longer the term of your auto loan, the more you will pay for your car because you will be paying more interest. Five years should be considered the maximum term of an auto loan, and three or four years is ideal. In some cases, you may be able to get a lower interest rate and a shorter term. In the modern economy, an individual’s financial status can change for the better or worse with little or no advance notice. If you suddenly lose your job or are forced to accept a job with lower pay, you may no longer be able to afford your current loan payments, and refinancing will help keep your car from being repossessed and protect your credit rating at the same time. Let’s face it. Many people get excited about buying a new car, and it is easy to get swept away in the process, especially when you are being pressured by a slick salesperson. You may have noticed later that you didn’t get the best deal, but that is no reason to stick with it. Put your new knowledge to use by negotiating a better deal through auto refinancing. • The minimum amount of a loan intended for auto refinancing ranges from $5,000 to $10,000. • The maximum amount of the loan can be anywhere from $40,000 to $100,000. • The minimum FICO credit score for refinancing ranges from 475 to 680. • The maximum age of the vehicle runs from seven years to unrestricted. • The maximum mileage for refinancing may be as low as 100,000 miles. All loans carry some inherent risk. For instance, you may want to lower your monthly payments, but in doing so, you will probably be paying more for the car overall. If your vehicle was used when you purchased it and is considered older by the current standards, it may be best to continue paying the loan you have now. This is because the car’s resale value has diminished, and the options for auto loans get slim for a car with a low value. Finally, always be sure to read the full loan agreement carefully before signing your name to it. While the majority of lenders are honest and try to help consumers as best they can, predatory lenders are out there, and they are ready and willing to take advantage of those who are unaware of their schemes. In this section, you will learn about how your credit score can impact your ability to get a car loan refinance. Any questions you might have about your credit score are located in this section. Is refinancing your car bad for your credit? When you apply for a refinancing on your car loan, it will affect your score negatively. It will prompt a hard inquiry on your credit score, causing a significant dent on your score. Yes it does. When you apply for a care loan refinance, a hard inquiry will be performed on your account. This inquiry will lower your credit score. You can still refinance your car loan even with bad credit. However, you can still find lenders that specialize on people with bad credit. Refinancing your student loan does not hurt your credit score. In fact, making on-time payments on the refinance loan can actually improve your credit score. What is a hard inquiry on your credit report? Hard inquiries are those that appear on your credit report when you apply for a loan or credit card. A hard inquiry will appear on your credit report for two years. But it won’t affect your credit score after a year. Can I refinance my car loan with poor credit? Yes. It is possible to qualify for car loan refinance even with poor credit. You might have to look harder for lenders that will be willing to refinance, or you might be required to get a co-signer. Are you looking for a car loan refinance provider? This section will provide you with a list of questions and answers to help you find the right lender. Where can I go to refinance my car loan? You can go to banks and other lenders, especially those who specialize in providing auto loans. Most of these financial institutions also offer car loan refinancing. Can you refinance an auto loan with a different bank than who your loan is with? Yes. You can always choose another lender if you want to refinance your car loan. In fact, a lot of car loan borrowers use this opportunity to get a new lender that would be willing to negotiate a favorable interest rate with borrowers. Can you refinance an auto loan with the same lender who holds your current loan? Yes. The current lender that holds your car loan is your first option when it comes to refinancing. But you should always explore other lenders to see if you can find better rates. What do banks get out of refinancing auto loans? When you apply for a car loan refinance, it is considered a secured loan. Banks can gain ownership of your vehicle, should you fail to meet your payments for the refinance. This is why banks and lenders carefully evaluate the value of the vehicle before agreeing to refinance your car loan. If you want to learn more information about the process of obtaining car loan refinance, this section is where you can find them. This is a list of the most frequently asked questions to inform you about the steps you need to take. If you experience financial trouble and want to make your car’s monthly payments easier to manage, you should consider refinancing that loan. This will provide you with a more affordable monthly payment requirement for a long term. What happens if you refinance your car loan? Refinancing a car loan involves taking out a new loan to pay off the existing one. The vehicle is used as collateral for the new loan. With the loan refinancing, you will get a new payment structure and term. Can you refinance a car for 72 months? Most consumers refinance a car loan to lengthen the payment term and make monthly payments more affordable. There are plenty of car refinancing structures for a 72-month period. It is up to you to choose the right lender so you can qualify. How long should I wait to refinance my car? Refinancing your car loan should be looked at as a final resort. Use this option only when you encounter financial trouble and find it difficult to meet your current monthly car payments. Aside from lowering your monthly payments, you can also lower your interest rate when you apply for a car loan refinance. Do you get money back when you refinance a car? No. The amount that is awarded to you for the loan is used to pay off your existing car loan. Does refinancing a car cost money? When you refinance a car, you must be prepared to pay for application fee and title transfer fee. Both are minor costs. Is it good to refinance your car? There are many instances when refinancing your car is a smart idea. One of them is when you experience financial trouble and are unable to meet your monthly payments. Refinancing your car loan is a good idea if you want to get a new loan with a lower interest rate. Do you have to put money down to refinance a car? A down payment is not always required. The only cost you will have to shoulder is the application fee and title transfer fee. However, it can vary from one provider to another. How can I get my car payment lowered? You can lower your car payment by refinancing it. You can negotiate for a lower interest rate and a longer term so you can get more affordable monthly payments. How do you refinance your car loan? You need to find a lender that provides refinancing for car loans. From there, you will have a new loan with new terms (and interest rate) to make payments for. Car loan refinancing is good or bad depending on your situation. But if you want to lower your monthly payments, this is a good option. 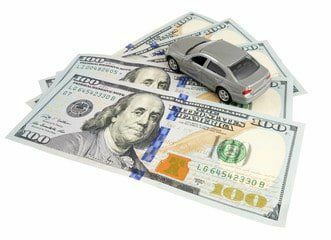 What is a cash out refinance auto loan? This is a type of loan that taps into your vehicle’s equity in order to obtain a lump sum payment. At the same time, you will also be changing the terms of your auto loan. Can you refinance without a job? Refinancing while being unemployed is extra challenging, as it is for people with poor credit. However, it is not impossible to find lenders that can provide that refinancing. You can refinance your car loan as early as 6 months into your auto loan. However, it might vary from one refinancing provider to another. How many times can you refinance a car loan? There are no set limits to this. You can refinance your car loan as many times as a lender would approve it. How long to refinance auto loan? The length of your new refinance auto loan term will vary according to your needs. You can extend the life of your auto loan refinance if you want to make monthly payments more affordable. You can refinance your car loan if you have trouble making monthly payments. Refinancing allows you to get a lower interest rate and to extend the repayment period to make monthly payments cheaper. There is no such thing as the best time to refinance your car loan. It will depend on your current financial situation. What are questions to ask when refinancing a car loan? Before you apply for an auto loan refinancing, make sure you ask yourself if it is the best option. If possible, you need to avoid refinancing as it will only extend your payment terms and it would mean you will get a fresh start on a loan. How to refinance a high interest car loan? A high interest car loan is the best candidate for refinancing. When you apply for a new loan, you can negotiate a lower interest rate so that the total amount of loan you will have to pay will be considerably lower, too. How to refinance a car loan with negative equity? Negative equity is when you refinance your car but the value of the vehicle is less than the amount you owe. You can still refinance an upside down loan but you need to have good credit score to get approved. How do I refinance auto loan into my name? If you are going to refinance your auto loan using the same lender, you can opt to have the account under your name. What are the advantages and disadvantages of refinancing a car loan? The advantages to refinancing a car loan is that 1) you can get a lower interest rate, 2) you can improve your cash flow (with lower monthly payments), and 3) you can switch to a new lender. The disadvantages to refinancing a car loan is that the extended life of the loan means you will have to pay more for the interest. There is also no guarantee that you can find a lower interest rate than your original car loan, especially if you have poor credit. How to refinance a car loan with a cosigner? You can refinance your car loan with a co-signer if your financial situation changed and your current financial state might make it difficult to get approved. Make sure you co-sign someone with a favorable credit score so you can leverage that to get better rates and terms. How easy is it to refinance a car loan? The process of refinancing your car loan is pretty straightforward. However, your credit score might have an impact on your ability to get favorable rates and terms, or if you get approved for refinancing at all. How quickly can you refinance a car loan? The soonest that you can apply for a car loan refinancing is 6 months. But experts recommend that first-time car loan borrowers wait until at least 1 year before refinancing. How much will I save if I refinance my auto loan? There is no actual means of measuring how much savings you can make by refinancing your auto loan. In fact, you might be paying more than your original auto loan because you renew the life of the loan, plus get a longer repayment term. It means you will be paying more interest in the long run. The only advantage that refinancing brings is that you can improve your current cash flow because of the manageable monthly payments. Can you get cash back when refinancing a car loan? There are cash back auto refinance that gives you cash when you refinance your car loan. Make sure that you read the fine print and that you do not pay for a higher interest rate for the new loan. How long after a bankruptcy can you refinance a car loan? The bankruptcy will appear on your credit report for at least 7 years. Therefore, you might find it difficult to get approved for a car loan refinancing within that time frame (and makes it tricky as most car loan terms are less than that). You can try second chance auto loan refinancing too. Some lenders might offer this give chance to borrowers who recently filed for bankruptcy the opportunity to improve their cash flow, and eventually their credit score. How to refinance an upside down car loan? Refinancing is the best option when you are dealing with an upside down car loan. It is an opportunity for you to negotiate with a lender about favorable terms and rates. It might be a challenge to find a lender who will pay for the car’s negative equity, though. If the cosigner on an auto loan refuses to refinance, what can I do? The cosigner is legally bound to the auto loan. They are considered responsible for the loan as much as you are – the principal borrower. However, the co-signer must willingly sign the contract with you. Otherwise, they won’t be qualified as a co-signer. How to remove a cosigner from a car loan without refinancing? The only way you can remove a co-signer is when you refinance an auto loan. But some lenders might be open to negotiate with you on removing your co-signer if you can provide proof of on-time payments for a considerable amount of time. What documents do I need to refinance my car? There are a few documents you need for car loan refinancing such as pay stubs or proof of income, tax returns, credit report, statements of outstanding debt, and statement of assets. How to get approved for auto refinance? You should always start with your credit report. This is the single most important factor that lenders evaluate if you qualify for a car loan refinance. Getting a co-signer with good credit standing can also improve your chances of getting approved. What are the requirements to refinance a car? Here are some of the car loan refinance requirements that you would have to meet: 1) your loan must not be upside down, 2) proof of up-to-date payments, 3) vehicle must meet the lender’s mileage and age requirements, 4) vehicle type, 5) good credit score. What is the catch in auto refinance loans? Refinancing your car loan might seem like a great idea. However, you have to realize that you will take out a new loan that you will pay for a longer period of time, in exchange for the more affordable monthly payments. How to refinance my car as a personal loan? You can apply for a personal loan to refinance your car loan. This will get you better interest rates since dealer-sourced vehicles typically come with a higher interest rate. How to shop for auto loan refinance? When shopping for an auto loan refinance, make sure to get as many quotes as possible. It is also important to ask lenders about any fees that you need to pay. Once you have considered all of your available options, send in your application to the one that you think offers the best deal. How to refinance a car loan when you are self-employed? Applying for a car loan refinance when you are self-employed is similar when applying for a new car loan. You will be asked to provide proof of income and capacity to pay. A good credit score can also boost your chances of getting approved for car refinance. How to refinance a car loan as a co-borrower and have your name removed from the loan? By applying for car loan refinance, the original borrower has the option to remove the co-signer from the new loan. You can choose this option if you want to be removed as a co-borrower. How to refinance a car loan into the other spouse’s name in a divorce? A court order is needed to release one of the spouses from liability for the car loan, depending on how your assets are divided during divorce settlement. Refinancing is a good option to take during a divorce because it will allow the bank to issue a new loan that will be under one of the spouse’s name, instead of being a joint account. What should be document and title transfer fee while refinancing auto loan? The document and title transfer fee are some of the fees you will cover when refinancing auto loan. These costs are nominal and will vary from one lender to another. The transfer fee would cost approximately $75 and the lender fee around $10. Make sure you ask a lender about these fees to help you decide. When I refinance auto loan, do they charge me taxes separately? Most car loan refinancing will include taxes and other fees with it. But just to be sure, you need to ask your lender about it so you can calculate the costs when shopping around for car loan refinancing. How to refinance a car loan as an Uber driver? If you are driving Uber as your primary source of income, you need to provide lenders with proof of steady income. Otherwise, it will be difficult to find a lender to refinance car loan. Can you refinance a car loan when it's 43k still on the loan? As long as you are not behind on payments, there are some lenders that might be willing to refinance your car loan even if it is less than a year. However, the amount of money you owe should not be higher than the appraised value of the vehicle. How do I change lienholder on title when refinancing auto loan? Go to a DMV office in your city or state. You must fill out a title amendment form. In this form, you must change the names of the vehicle owners on the title. How to refinance your car loan to get husband off it? You can have your spouse removed from your car loan when you are going through divorce by applying for refinance. Once you are approved for a car loan refinance, you can remove your spouse’s name and have the new loan account under your name.